Last year, I set some very lofty goals. With an exposure risk that averaged at any given time $115,000 in my portfolio, I wanted to make a net profit gain of $40,000, which relates to a 35% gain for the year. THIS HAS BEEN ACCOMPLISHED. This was better than 99% of all professional hedge and institutional funds. I beat the pro fund managers in 2014 ! The IRON MAN public portfolio: You're not in Kansas anymore ! Market playing out exactly as expected (and as I stated). Greek crisis causes market weaklings to sell. Market down temporarily then re-directs and moves up and forward. No different this time from previous concerns. My strong Iron-man portfolio did not sell positions during the latest greek euro crisis. As to Oil. More knowledgeable people are tending to agree that Oil will drop in the second half of this year. 87 year old T Boone Pickens still trying to talk up Oil..and admitted buying and going long on oil future contracts. Will T Boone 'live' to ever see 70 dollar oil again? T Boone claims there will be more demand...forgets to tell us there will be ever more supply available...completely wrong on US production.. it's up for the year, not down. Even with all the turmoil this summer, portfolio over 21K at the moment! Starbucks and Disney continue to show strength. What kind of investor are you? If you were long going into yesterday's session and sold, you might consider yourself a defensively weak and meek investor. With earning's season upon us and with the Fed unlikely to raise rates in Sept or even Dec, it was NOT a time to sell. Bought a Mickey Mouse John Wind watch today from an antique mall ..to add to my collection. Mall dealer had everything off 50% off their booth.. saw this as good opportunity. EBAY......On July 8, eBay shareholders received one share of PayPal common stock for every share of eBay common stock they own. The distribution is finalized on July 17, and on July 20 PayPal will begin trading on the Nasdaq under the ticker "PYPL." NFLX...7-1 stock split occurs on July 14. DIS ...... Announced dividends will now be semi-annual instead of annual. Raised dividend amount. Ex-dividend on July 01, 2015. A cash dividend payment of $0.66 per share to be paid on July 29, 2015. Shareholders who purchased DIS prior to the ex-dividend date are eligible for the cash dividend payment. Son's birthday today. Wife made an excellent dish headed by rainbow trout. Watched 'the men who made America' on Netflix last night ..great inspiration. Have a good day! the current crisis will be no more. The market will roar as it always does when a 'greek crisis' passes. additional loans to Greece. It's a great time to be buying 'STOCKS ON SALE'. Get in when the getting is good. In my auction/estate sale dealings, I came across a vintage bottle of a beer called Muehlebach. The beer was capped and unopen. I did some research and attempted to find it on the internet. 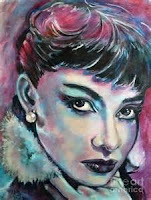 I searched all the major auction houses like Ebay and could not find another one like it for sale. I searched the internet for history and pictures and could not locate an unopened bottle. I checked with all the local antique malls in the area with no avail. I am beginning to think I might have the only unopened bottle of Muehlebach beer left on this world. The beer was brewed by a small brewery in the Midwest and was discontinued in 1973. It very likely only sold in the areas surrounding Missouri and Kansas. I found out that the major hotel in Kansas City during that period was the Muehlebach hotel. A hotel that former president Harry Truman would stay in. That hotel started it's own beer, again named Muehlebach. I plan to contact this hotel and see if they happen to have a historical display of the beer. Currently my thinking, based on prices I've see for similar type rare bottle of beer, is that this one is worth $400.00. Market closed today. Later I'll have an update on the portfolio goings-on and my latest garage/auction purchase exploit. **bulletin** Bought more EBAY today ! Sold KMX. Money better invested in ebay. Some trades work out, some don'. That's the real world for you. TSLA, one of our landmark core stocks, reports earnings above guidance. My iron-man portfolio continues to guide forward, not for the weak and meek! DIS hits 115 mark.. as it continues to matriculate forward. Got a limit order in to buy AAPL. Hope I get it. SWKS... Doubling the dividend, payable in August. DIS.... Disney increased dividend by 15% and now will pay semi-annually instead of once a year. Next dividend payout July 29. DIS also announces weighing a billion dollar expansion in California in return for tax relief . ...and don't forget that Star Wars is right around the corner. TSLA... The mega gigafactory slated to be ready operational in a year. It would not be surprising at all if TSLA share price at that time will be 400, maybe even 500 ! SBUX: Revenue up for twenty consecutive quarters, and each time a new all-time high. Earnings are also at all-time highs. Buying NFLX today is a 'no-brainer'. Huge odds in my favor that Netflix shares will go higher as it gets closer to the '7 to 1 split date'. I see at least the stock splitting at 700 or better. When I go on record like this I'm usually correct 85% of the time. AMBA went up after I bought it today. Planning on buying more NFLX as Icahn comments dampens NFLX..he pulled out and also other weaklings. His son, Brett, must be totally pissed! Re-thought about it and couldn't see a reason not to own AMBA. Back in the game. 11:00am cst. Bought 8 more shares of NFLX. Iron-man portfolio nearing the big 24 (24,000 gain)... Expecting to hit 25K real soon. NETFLIX...one of my core 'wild bunch' stocks on my public portfolio , one that I purchased the first trading day of this year (fully documented) and never sold ...... announces a 7-1 stock split. The stock is fully matriculating in after-hours trading at the moment. I might note that Carl Icahn, at one time, had NFLX as a major holding in his portfolio. He has since sold positions on it to where it is only 1.8% of his portfolio now. In fact, NFLX has gone up over 150% since his biggest sell on it in late 2013. I, on the other hand, made it a major stock recommendation at the beginning of this year and purchased NFLX on January 2 (first trading day of the year) and added to position during the year without selling any of it. Brett Icahn (Carl's son) predicted NFLX to be at 60 million subscribers by this year. It was at 48 million last year and , guess what, it's at 60 million subscribers now. Brett sees it going to 90 million. Now comes BTIG Research that see NFLX at 120 million subscribers by 2020. It also puts a target price of Netflix (pre-split) at 950 ! Call 911 on the cybersecurity sector. Our eyeballs are focus on these three on-fire stocks: GIMO, AVG, and the torrid IMPV. I really like GIMO and I have some strong minded company in a number of hedge funds buying this baby. I own none at the moment but that might last very long ! I now own IMPV. Started position at my buy limit price of 67. Bought more of the battery company TSLA. This sector is for adult strong-minded willed investors. The meek and weakling traders need to stay away. Will you be late to the game... could be... are these stocks cheap.. no... again not for the meek. Revenue is exploding and trending forward however... My opinion cut... they will continue to matriculate even higher. Why? ,, because companies cannot afford to get hack to the point of losing their business. This field is economy concern free. It's not depended on the economy being good. PANW: Analyst price targets are now in the 200's. I agree. PANW is one of my holdings. FEYE: A fairly recent ipo. If you're into ipo holdings, you need FEYE. Not one of my holdings. CYBR : One of the media darlings. Stock is debt-free and has oodles of cash. One of my holdings. HACK: ETF in the cybersecurity space. VDSI, BLOX, JNPR are other stocks in this sector. None own. As stock market talking-heads talk down June as a bad month to invest, the NASDAQ hits all time high. AAPL.... Robbing the apple watch buyers blind. Selling extra watch bands for $49.00, cost is $2.00. DIS........ Robbing park guests... charging $100.00 entry. Exploring virtual reality for video games. AMZN.... amazing amazon working on mobile application for humans to deliver products to customers. UPS and FedEx stand by dumbfounded. RCPT.... newest stock to our family up 9 points today amid buy-out rumors. SBUX..Hits the big 54 after hitting the big 53 yesterday. Continues to see coffee related products at outrages prices which it's patrons are more than willing and happy to pay. Speaking of the 'Wild Bunch', added another stock to the portfolio, another 'wild bunch' type stock, RCPT. Wild Bunch stocks are volatile...make big moves up and down daily although longer term trend is upwards. A wild bunch could go down on the day I purchase it but longer term it's a winner. The 'Wild Bunch stocks' consists of such members are Amazon, Netflix, Telsa and Ebay. NFLX: Needham analyst Laura Martin, according to a report in MarketWatch. Needham raised NFLX's price target to 780. The expectations is that NFLX would beat second-quarter revenue higher than analyst targets. 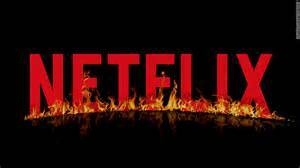 Additionally, there are expectations Netflix may generate a new revenue stream by selling advertising. The report said that would not be such a leap of logic, given other entertainment companies sell advertising. "(Reuters) - the Wall Street Journal reported that Amazon Inc is developing a mobile application that would pay ordinary people, rather than courier companies, to deliver packages en route to other destinations"
EBAY is considering the sale or initial public offering of its Enterprise unit. A sale could value the unit between $1 billion and $1.5 billion. "Tesla Motors is getting a cash injection in the form of a loan worth up to $750 million from a series of banks "
"Tesla targets a million of its electric vehicles on the road within the next five years. The forecast came from Tesla's chief technical officer, JB Straubel, during a conference Monday, according to The Wall Street Journal. The electric carmaker expects its forthcoming mass-market vehicle—the $35,000 Model 3—to drive much of the growth. Tesla plans to launch the new car series in 2017." In addition, I continue to be emanorated with two stock sector.. the Chips and Cybersecurity sectors. Chips are the products that make new innovative things work. Cybersecurity is what keeps them safe. Closed two positions for profit today, AMBA and ALTR. Bought new position, CYBR, a major stock in the cybersecurity sector. Today, right before the session close, spells BUY BUY BUY ! t of over 35%. Much of that gain can be attributed to buying when the market was down due to 'Greece finance concerns'. Today is another one of those wonderful days where it's highly advisable to take advantage of a market down day due to Greek concerns. ly believe in the Chip sector. Taking a current look at our public iron-man portfolio (see below), 25 of the 27 active trading holdings show a profit. Of the two showing losses, one is only showing a $4.00 loss. More importantly, the portfolio (stated at the beginning of year 2015) shows a net profit of over $20,000. NFLX: Netflix shareholders approved an increase in the company's share authorization, the precursor to a stock split. There's no indication yet for an exact ratio for the split. y sector containing such winners as PANW, FEYE, GIMO, CSCO and CYBR. We continue to like the Chips sector with winners such as SWKS, AVGO, ALTR, IDTI, and ADI. Some of you wondered why we sold REGN prior to the drug announcement. Now you know... as profit were locked in. Now that we have the results, re-bought REGN at unbelievable sale price. Yesterday's purchases of adding to position on such stocks as AAPL, PANW, and SWKS looks good so far. Big buying day today. Taking advantage of the 'June Gloom', for the first time since Feb I added to my position of APPLE. I also added to my positions on SWKS, PANW, and TSLA. NFLX continues to outperform the market this year. I bought NFLX the first trading day of 2015 and have continued to hold it. I continue to pare down, today closed VRX and REGN. Madness and the June Gloom. June is not the best month to be long in the stock market. However, there is a market that thrives in June... that is the estate sale/ garage sale market. They're everywhere and all the competition provides one a great buying opportunity. Like any market, knowledge is key. Started new position in KMX. Bought into 50 shrs. As I pare down, sold UUP to day for profit. How to Rob the Estate and Garage Sales market Blind, Part 1b. On May 28 (see below), I started this series as stated above. Today I am going to add to the fun. Another sure win are TI scientific calculators. These items are basically 'given away' at garage and estate sales. There are some things that are costly or 'dear' at estate sale. TI calculators usually are not one of them. These can usually be found at lower than market prices. The other day, it happen to be an auction, they were 'throw ins' on a pallet I bought. The nice thing is they come with the instruction manuals. I got TI-81 and TI-85 calculators basically as a throw in with manuals. These sell with the manual around $15.00 each on ebay and they do sell. Paring down, sold BIB for about $2,000 profit, sold CERN for profit. Sold 70 shrs SWKS for over $2,300 profit today. Still own 100 shrs SWKS. Saw Mad Max Fury Road today. Awesome! Media telling us market drops 80% of time in June (last ten runs). This could make it 9 out of 11. The 'market animal' is a creature of habit. This stock added 1,500 new customers last quarter to an existing base of over 24,000. It added more than 1,000 new subscribers to its WildFire service, which already had 5,000 subscribers, 200% year-over-year climb. Revenue climbed 55% to $234.2 million to $234.2 topping consensus estimates. The company forecasting fiscal fourth-quarter revenue in the range of $252 million to $256 million, above the consensus of $247.6 million. It's adjusted earnings grew more than 100% in its third quarter. The average customer "has increased their product spend with this company by 12% over the past year. It has purchased another company in the same space. There is huge corporate demand for it's services and products. The space is CyberSecurity and the company is Palo Alto Networks PANW. As global cyberattacks surged at major corporations in 2014, that enterprise will continue to spend on a good defense. I suggest you do your homework. I myself own this stock and expect it to target 200 per share. Last Friday, we said the hottest space was in Chips and Cybersecurity. I bought ALTR, a no-brainer at the current price as it was almost a given that Intel was going to buy it. ALTR, AVGO, and SWKS are my favorites in this space (own all of them). You can spend all the time you want on fundamentals, technical, and sentiment you want but all you need to consider is if you think Mobile is going to continue to be prevalent in the future with on-going growth. If you do, AVGO and SWKS are two to consider. Do you own analysis, but I'm a believer in Chips. Amazing "Amazon wants to be your retailer for everything. They started off with books and then they moved into pretty much every other category." Continuing to 'rob the estate/auction sales Blind'.... Yesterday, bought a Arthur Secunda art piece at a fraction of it's worth. ....Went on Ebay to check out selling prices and some are priced at $2,000. The frame I got the piece in is bad shape, so will replace it and re-mat it for about $100.00. I expect it will sell easily for $800-1500. I rate my estate/auction purchases as a bunt single to a home run. This one is a grand slam! ....also bought a Stevie Ray Vaughn 'Texas flood' NM album for $10, ebay sold value $28.95 (let's call this a single). From time to time, I'm going to relate on how to make basically guarantee profits on buying items at garage, flea markets, and estate sales and re-selling those items for practically guarantee profits. I like the 'hunt' involved in finding gems and regular items at estate/garage sales. Even better, there is the almost guaranteed winning return when those items are sold. Most estate sales and garage sales will 'give away' cups and mugs. In my area, I can go to an estate sale and find mugs in the .50 to $2.00 range with the majority priced at .50 to $1.00 each. Anytime you come across a 'starbucks' mug, BUY IT. All starbucks mugs have re-sell value, many of them are highly collected, those being the country or state mugs. Some go as high as $100 (per ebay and amazon). I came across a box of them at a garage sell that went for 1.00 each. Most of them have been sold on ebay above $30.00 each. Again, a guarantee win : Buying starbucks country and state collector mugs below 2.00ea and reselling them online. An example is the 'Denver' starbucks mug, high value. Electronic hand-held or console video games. Almost all of these are undervalued at estate/garage sales. Make sure they work however. Having some batteries in your car to check out is always helpful. These items are easy to sell and in demand (see ebay). 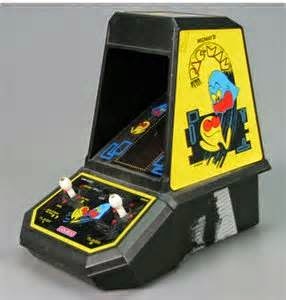 I once bought a Pac-Man hand-held game for $3.00 at an estate sale. It sells in the $85.00 range. I bought an electronic aladdin video game for $2.00 this week. It has sold on ebay lately in the $10.00-12.00 range. If you're able to get the box or carton it came in, that makes it even worth more. About once a week, I plan on providing more estate/garage sale 'secrets'. Stay tuned. I'll keep this posted for about a week and then it will be deleted and a new article will be added. So tune in regularly. One poor fool on another site didn't believe my garage sale secrets regarding starbuck mugs. All one need to do is goto Ebay auctions today and check out sold Starbuck mugs. You'll see some sold for $2,000! All those 'expert' analysts claiming Apple did wrong with the Apple Watch are now in hiding with their boogy error predictions. yet again I am right. As expected, Under Armour UA coming back... as I said it would. CERN (Cerner)...One of our top holdings and recommendations for 2015 makes the IBD big 20 Cap. DIS (Disney), another of our 2015 recommendations continues to climb the mountain feeling no pain. NETFLIX.. an original holding in our portfolio continues to lead the way. TSLA... bought this yesterday, technical difficulties didn't allow me to post it to portfolio on google drive until today. Sorry about that. HD.. Closed home depot today for better utilization of funds. There's a number of other stocks on watchlist that I plan to purchase this month. PANW.. Currently have a limit order to buy. Mom's birthday is today. Back from Florida. Actually like the Kennedy Space Center. Got some vintage railroad materials at the auction last night. Cost me $15.00 for a box valued on the low end of $500 and most likely will result in 1,000-1500 when all said and done. Normally I hold items purchased for awhile before reselling. Also continuing to buy vinyl LP's, new and old. The Stout 'Guardians of the Galaxy' LP with handbill I got for $90 now selling on amazon for 199 and recent sells on ebay at 125.00. Expect this LP to be around $200-250 in a year when Guardians of the Galaxy II comes out. A lot going on today as am off work today... going to an estate sale this morning and auction tonight. In between will do a planned photo shoot for an historic site in the area that I live in. Bought Rolling Stone concert tickets today. Been saying for the last few years it'll be their last tour... hasn't happen yet...told they're still good... it'll be a party out there. Got a Tyler Stout 'Guardians of the Galaxy' limited edition LP. Sold out on his website. Cost me around $90.. in one week price on Amazon is 199.00 and best price with a hand bill on ebay is around $125.00. My son came back from Mexico City the other day... was there for about 3 weeks...says it like another planet (in a nice way). Everything cheap but must bargain, if you speak English price goes up. Transportation is cheap. The stock media still scared shitless of the Apple Watch. I've been saying all along it's a winner... expect demand to be greater than supply around Christmas. First edition 2015 gold watches will go well... people buying if for ego reasons and as a collectible. Remember this watch will be sold around the world... other countries have more respect for buying gold products. My ongoing photography continues to take up much of my time. I have already received requests from others on one of my photos, a landmark building that centered the old auto parts and repair company call 'Western Auto'. Below is a picture of it. n his rant last Friday on 'ringing the register' on biotech. Just watch how well biotech recovers in the next few days. Apple comes back today after manipulative option move at close on Friday. Sorry, I am not a daytrader. No action today. REGN.. is the No 1 nasdaq stock in total returns the last 10 years. It continues to move forward this year with a new class of chloestel medication superior to the statins available now. Expect approval this year. BIIB... another biotech stock with a hot drug. This stock went up 9 points Friday. It's not done. If continue trials are promising with Alzheimer as the initial trials, the stock could triple in price. While Jim Crammer is telling you to unload REGN and BIIB, I'm recommending these stocks to go even higher. B ended up at 472.15. AAPL.. another stock in the top ten of total returns the last ten years. Of all those stocks, it has the lowest Forward P/E ratio and is still considered undervalued. AAPL ended Friday at 125.95. SWKS... can't go wrong... selling to all the smart phone makers...doesn't matter which phones sell or drop. They got the market. SWKS ended up at 102.04. Some are calling the latest Biotech boom similar to the dot-com boom bust of 2000. They are wrong of course. Biotech, using new technologies and discoveries, are coming up with miracle drugs that actually perform and will provide profits for years to come. ...Real and great progress with heart disease, cancer, alzheimers, viruses are on the way. SBUX starbucks hitting new highs. SWKS continues to perform. BIB can't quit. Bought more of all three today! BIOTECH ON FIRE.... Yet another UP day for my portfolio in a down market day! APPLE joins the Dow Jones Industrial averages after today's session. try...changing it and transforming it with iTunes... now APPLE with transform the way with TV viewing. The current pay-TV model remains antiquated, expensive, over-bundled and in dire need of major changes. Apple likely will announce a bundle of TV networks in June to be launch in September to coincide with the start of the fall TV season. APPLE continues to see success (abeit under the radar) with Apple Pay. Once the new Apps and revolutionary payment and smart wallet technology continues, no one will need to carry credit and debit cards.